The soaring cliffs, sandy beaches, and marine caves of the Arrábida Natural Park lie along the south coast of the Setúbal Peninsula, less than an hour from Lisbon. 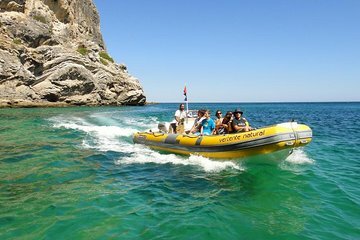 On this tour, visit Sesimbra village, set sail around Arrábida’s marine reserve, and cool off with a swim in the Atlantic. A delicious beachside lunch with wine is also included.